Established in 1996 and headquartered in Dublin, Tekno Surgical is involved in the distribution of specialist medical products, targeting key niche areas including Maxillofacial, Dental, Urology & Gynaecology, ENT, Plastics & Aesthetics, Neuro, Vascular and Cardiothoracic. We are one of very few companies in Europe to hold a fully accredited service licence agreement with Stryker, Zeiss and many more of the global brands in our portfolio. Tekno Surgical’s mission is to provide best-in-class service across all Orthopaedic divisions, ensuring our customers receive a level of service that not only meets but exceeds their expectations. We strive to maintain constant engagement with our Principals while ensuring that we are up to date with all product developments and can identify opportunities to enhance our portfolio at any given time. This mantra has helped us grow to be the leading distributor of Orthopaedic implantable products in Ireland. Tekno Surgical’s employee base of over 100 personnel, involved in the areas of Customer Service, Logistics, Loan Kits, Sales, Marketing, Quality and Compliance, Clinical Training and Support Services, allow us to represent global leading manufacturers such as Stryker, Zeiss, Eschmann and Scanlan and many more. Our 40 nationwide sales specialists combine with our 12 service engineers to provide our customers with a level of service that exceeds their expectations and truly fulfil the Tekno Surgical mission. We have a dedicated customer support team available to deal with all enquiries. You can reach us by phone, email or via our website. 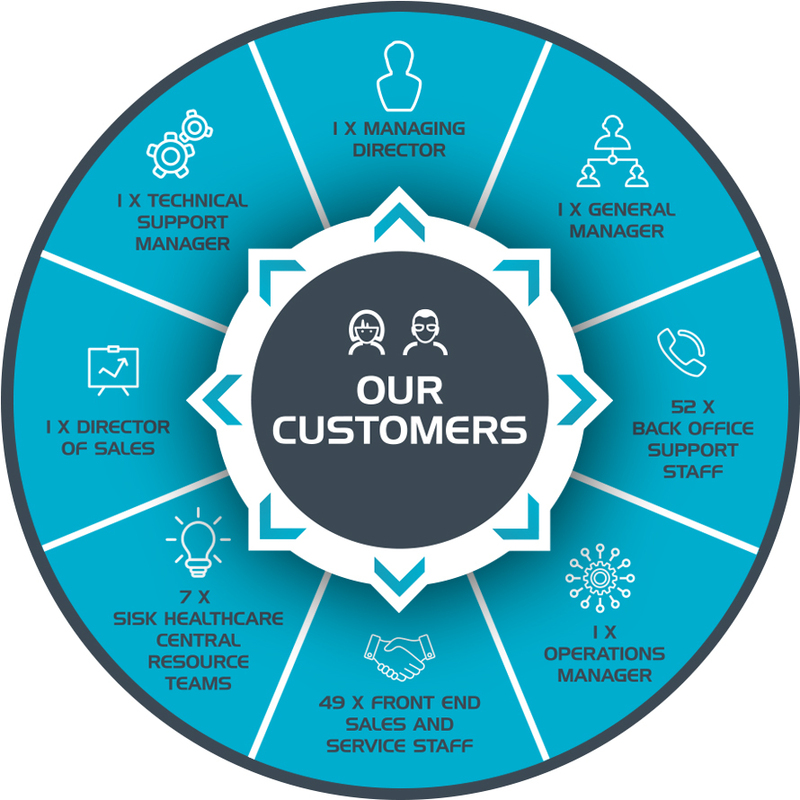 We actively listen and assess your needs to ensure that you receive the product or service that best suits your requirements. We can design and demonstrate the solution that best fits your requirements and show how this will enhance your patient care. We will develop a proposal, tailored to your needs, and work with you through each step of the process to ensure your expectations are met. With ISO9001:2015 accreditation you are guaranteed quality in practice. We have a dedicated Customer Service team available to deal with all enquiries. We also have a comprehensive repair service and engineers available 24 hours per day 365 days of the year, in case of emergencies.